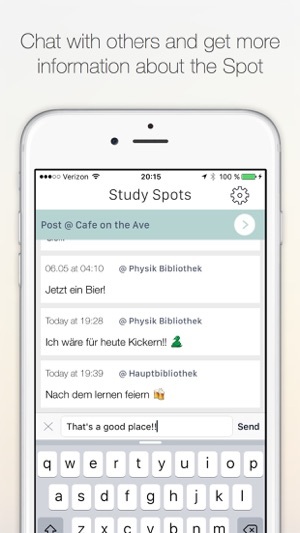 Study Spots, the app that will guide you to your perfect StudySpot! 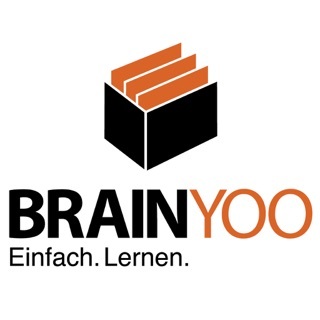 You´re looking for a spot to study or work? Alone or with all of your buddies? 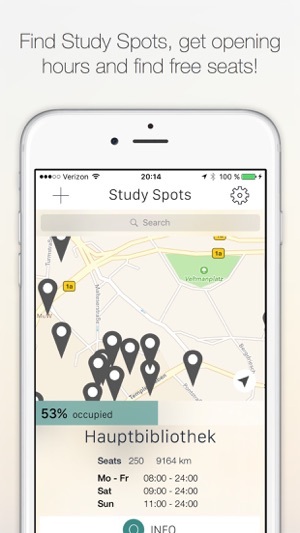 StudySpots will show you every spot that’s available in your area. It will also tell you all about opening times, number of seats, and even give you an opportunity to discover secret tips! 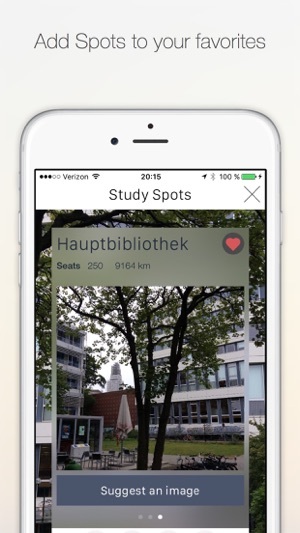 And the best part: Study Spots will show you in real time just how many seats are left at the StudySpot of your choice! That way you’ll only have to get yourself out of bed if there is actually a seat for you! 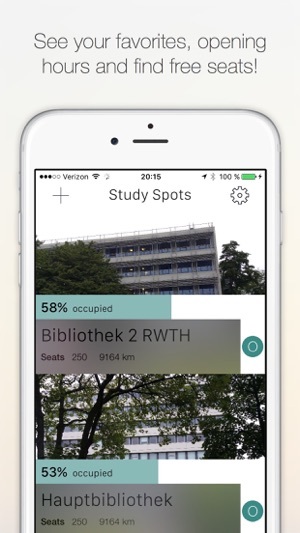 You can manage your favourite StudySpots in the app and see their occupancy at a single glance! Chat to people around you, ask questions and rant about your most annoying exams! You know of a Study Spot that we haven't listed yet? Recommend it to us and we’ll add it, if possible! Study Spots makes looking for a work place outside of your home as easy as can be! 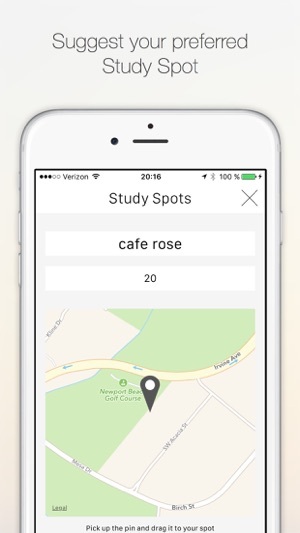 Study Spots, the app that will guide you to your perfect Study Spot!